This holiday season give your loved ones what they really want; The gift of shred. Well it’s on! 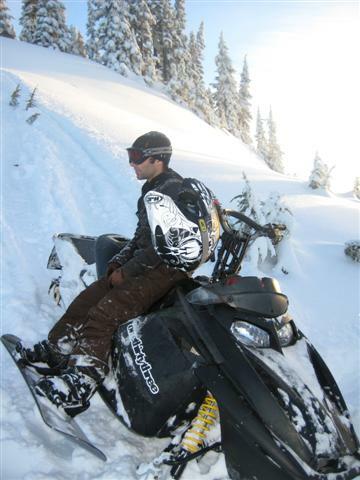 With the killer early snow conditions on the Island this year we’ve been taking full advantage of it hiking, sledding and shredding like crazy. 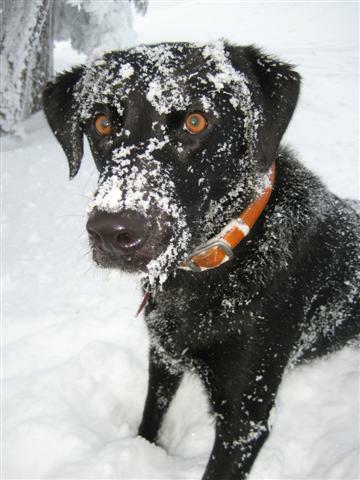 Forbidden has a load of snow on it and they say La Nina hasn’t even kicked in yet. Riders with their own gear who want to hang out and ride without the coaching, (great for parents and friends who are trying to poach). Want to really max out your skill development? The JumpCamp Season Pass gives you full access to all JumpCamp sessions including the JumpCamp Jam and a huge prize pack. Check this sick vid with Shaun McKay, Curtis Ciszek and Eero Niemela by our hombres; the People Crew. It’s from when they were out here last year cruising the Island with us. 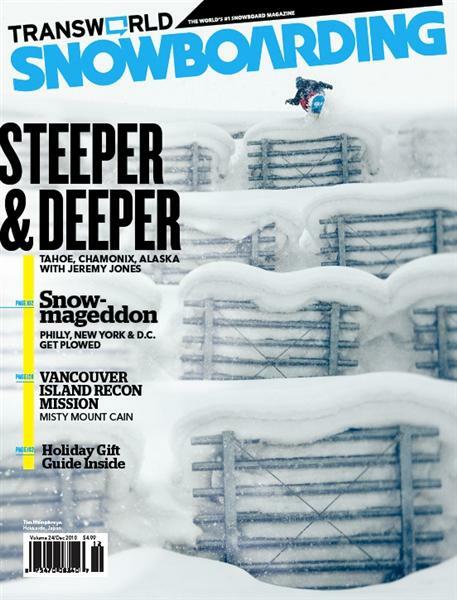 Go get the new issue of Transworld Snowboarding for the whole Misty Mountain Hop story all about Mount Cain! We are in negotiations with Mount Cain to either get hooked up real good or banned from the hill. 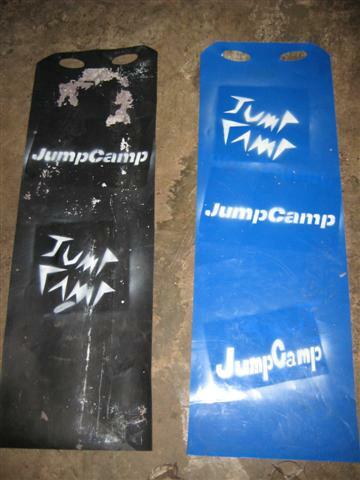 Thanks to a donation from JumpCamp, two youth in The John Howard Society of North Island’s programs will receive a snowboard for Christmas. 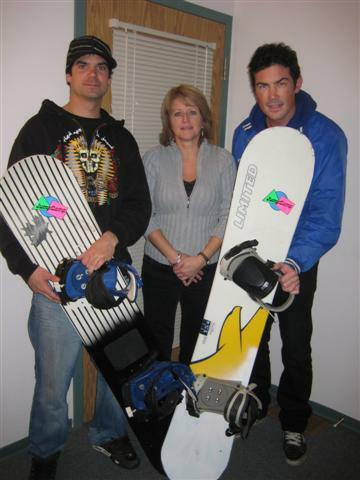 Joe Conley and Patrick Kitto, head coaches at JumpCamp, delivered the snowboards to JHSNI’s Courtenay Manager Vicki Miller in time for the holidays. With all the collaborations going on in the snowboard industry we at JumpCamp thought we’d jump on this new trend. Not to let too much out of the bag, but JumpCamp has teamed up with Crazy Carpets. Yes, your favourite slidy plastic mat and JumpCamp together at last! Have a peak at some of the new designs we’ve been cooking up in the dungeon. Get yours while supplies last. Camp photos will be posted on our Twitter, Facebook and Myspace profiles. Check those sites for the latest. Did you take any great photos at JumpCamp? Email them to us and we’ll put them up.